At this point, one would wonder if Google has anything new to announce at the hardware event in NYC this coming Monday. We’ll do a roundup up in the next day or so but here’s a quick rundown. Obviously, we will get to see a couple of new Pixel phones. Depending on which rumors you subscribe to, there could be a third or even a fourth if Google’s Instagram feed is more than a jovial attempt to troll us tech bloggers. Apart from these, Google is planning to bring their own smart-display to the party with the leaked Google Home Hub. This comes as a bit of a surprise to many seeing that back in January Google made it a point to highlight their partners’ smart-displays at CES and not-so-directly implied they weren’t going to brand one of their own. What a difference 9 months can make, I guess. We’ve also seen some USB-C Pixel Buds that could potentially come with Google’s flagship phones. Then there’s the Pixel Stand. It’s still unclear what all this thing will do but hey, more toys to play with. Last, and what some may consider least is the refreshed Chromecast streaming dongle. The minor upgrade will bring true Bluetooth to the second generation Chromecast. There have been a number of theories behind the addition but it looks like, for now at least, the Bluetooth will simply give the Chromecast another means of streaming audio. Perhaps it will just be marketed to those who may not have a consistent internet connection or want to allow guests the ability to stream without access to a network. 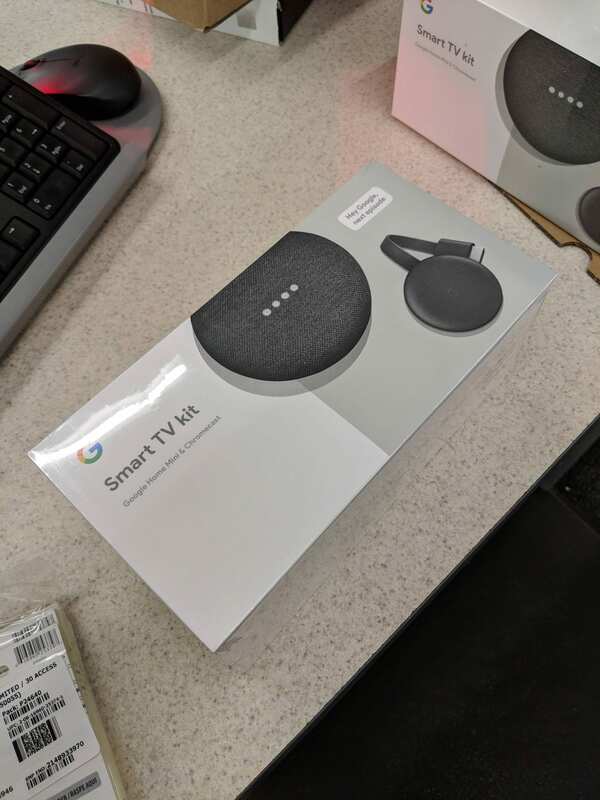 Anyway, the latest leak comes from a Reddit user who posted images of a new Chromecast v3 and Google Home Mini bundle that has been branded the “Smart TV Kit.” The images have since been removed and the original poster has deleted himself from the thread but thanks to Android Police, the images live on. 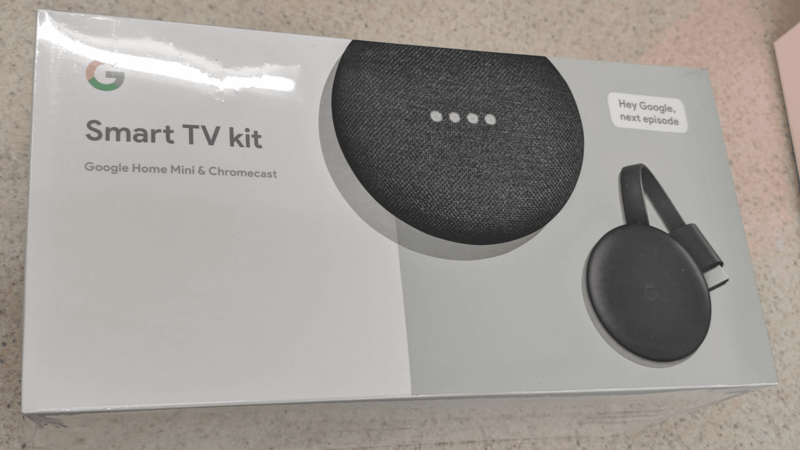 It is unclear what retailer is taking these into stock but Walmart carried a similar bundle with the second gen Chromecast and it is possible that these will hit the shelves at your local store as soon as Google’s event comes to a close. The new Chromecast, as well as the rebranding, may not be breaking news but the fact that there have been so many leaks and a large increase in the number of products that Google is launching this year is another sign that they are going to continue to push #MadeByGoogle products to the masses. Again, I don’t think Google has any desire to become a hardware giant but the more connected devices they sell, the more date they have to power the bulk of their advertising revenue. Like it or hate it, knowledge is king and Google knows how to use data. We’re looking forward to sharing with you live from New York next week and with any luck, Google could be holding an Ace up their sleeves to keep the event exciting. Stay tuned and check us out on Twitter for up to the minute reports from NYC.